Originally from the highland plateus, Sam's village is used to the hardships of hepherding as a way of life. However the sheep they shepherd are not your average sheep. Instead, they known for their ornery quirks and violent outbursts. While their exact species is officially unknown, everyon calls them Strange Horned Sheep and can only be herded wih magic. 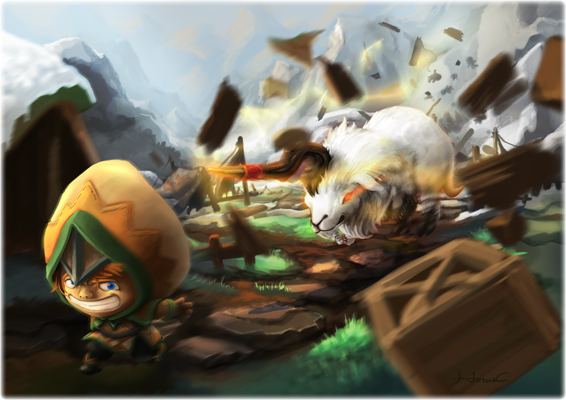 Once, while out with the flock, Sam's carelessness caused the village leader's favorite sheep to go crazy, destroying the village in the rampage that followed. Since then, no other villages are willing to have their encampments to neighbor Sam's village. Sam's dream is to clear his name by graduating with honors from the Fantasy Hero Institute and returning home to subdue the Strange Horned Sheep that is essential to his ancestors livelyhood.